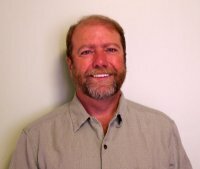 Tim is a certified Healing Touch practitioner and instructor and Qualified Mentor and instructor for the Mentor Training course. He has taught in Sweden and Nepal as well as the States. In addition to HT, he has completed two levels of Reiki and is trained in Cleansing Flow. His healing work serves a wide variety of clients, which includes a private practice, as well as volunteering in hospital and long term care settings. He is on the Certification Board and serves as a reviewer for HT Certification. He supports the local healing touch community with a leadership role in the regional planning group as well as helps facilitate a Healing Touch practice group. He has retired from his first career as an environmental engineer to devote more time to healing and spiritual practices.